Renal anemia is caused by the lack of a kidney protein that helps create red blood cells. Renal anemia may ultimately lead to a patient needing to undergo dialysis. Anemia is often associated with kidney disease. 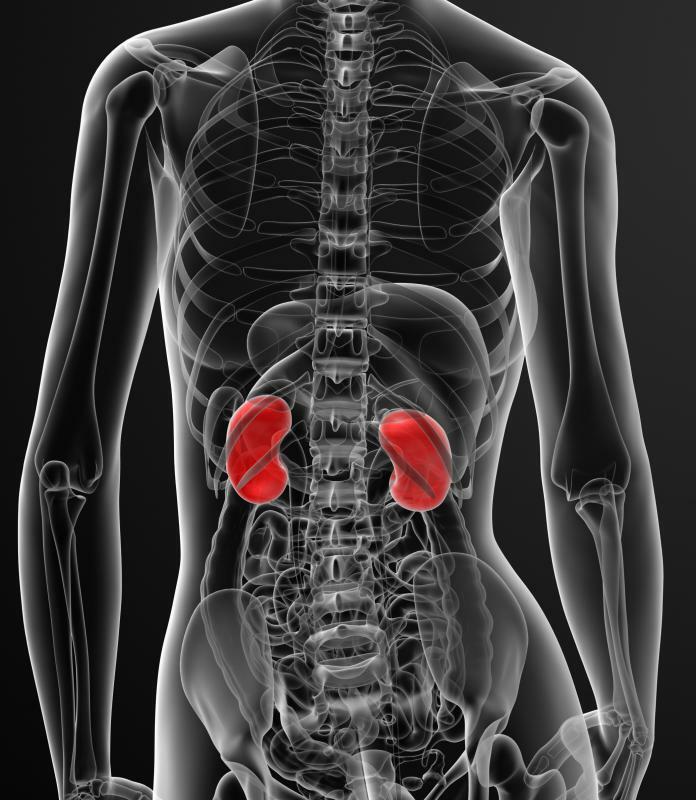 Renal anemia is a disease in which the patient has an unusually low count of red blood cells. 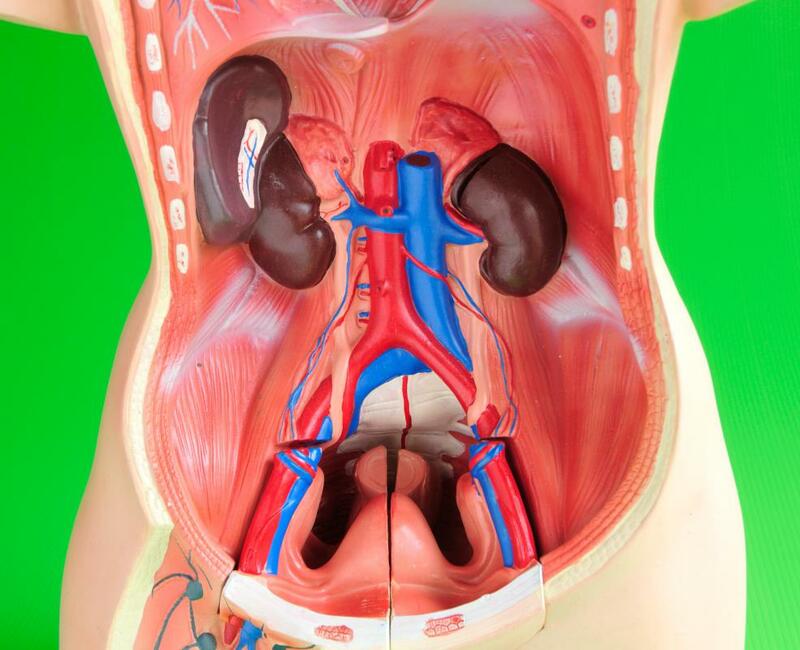 Renal is a term that means of the kidneys, so anemia is often associated with kidney disease. This type of anemia is caused by a lack of erythropoietin, a protein produced in the kidneys that helps to create red blood cells. Another cause of anemia is hemolysis, the breakdown of red blood cells in abnormal places within the body, such as the blood vessels. Additionally, deficiencies in iron and vitamin B12 can lead to renal disease. Renal anemia is a sign of renal failure. 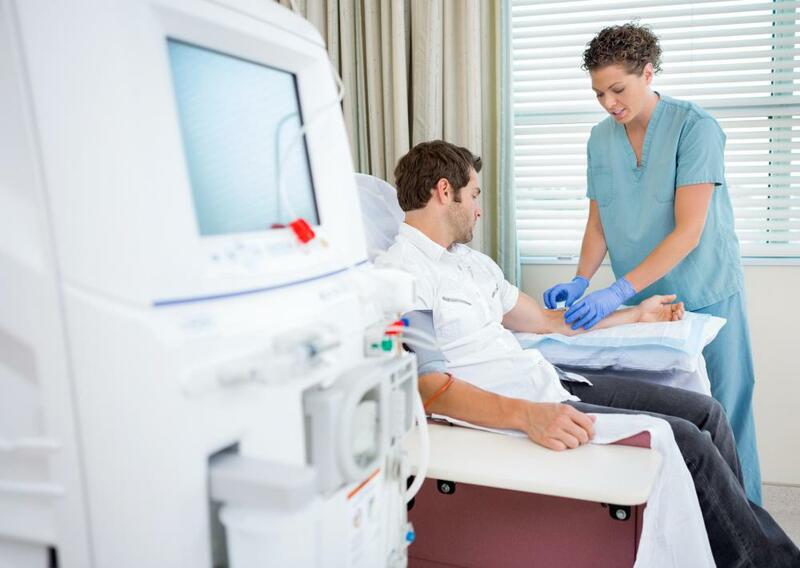 Renal dialysis anemia involves a treatment of filtering the blood to get rid of excess waste. Chronic kidney disease anemia is common because a low red blood cell count is one of the first signs of kidney disease. Renal anemia develops early in patients with chronic kidney disease (CKD), and the anemia worsens with time, as CKD progresses. CKD anemia affects cognitive abilities, immune system response and cardio functions, as well as a person’s ability to exercise or strain the body systems. As it relates to CKD, anemia may also be caused by iron deficiency, acute or chronic inflammatory conditions, aluminum toxicity and shorter survival times of red blood cells. The progression of chronic kidney disease is marked by five stages, the last being dialysis, and renal anemia typically presents itself between stages three and five. This type of anemia affects almost every organ in the body, either directly or indirectly. A combination of hypertension and anemia can cause left ventricular hypertrophy (LVH), a complication that results from changes in the stress of the left ventricular wall. Severe cases of anemia can lead to hospitalization and even death. Since this is a disease that gradually worsens, early diagnosis is critical. Doctors have developed a plan for identifying and managing the disease, known as the Renal Anemia Management Period (RAMP). This plan places a large focus on the debilitating effects of anemia that worsen the longer they go untreated. It attempts to prevent the formation of other diseases and complications, such as LVH, by curbing the effects of anemia as quickly as possible. When an anemia patient is identified as being in stage three of chronic kidney disease, doctors usually choose to monitor his or her symptoms so they can interfere quickly if need be. This includes measuring the patient’s weight, diet, energy and protein intake, serum cholesterol level, calcium, phosphorus and overall health and well-being. Epoetin is a type of renal anemia treatment that can decrease the risk of LVH. Additionally, the artificial production of more red blood cells can treat anemia, but there have been proven complications with this, as genetic engineering is still in its pioneer stage. What are the Effects of Anemia? 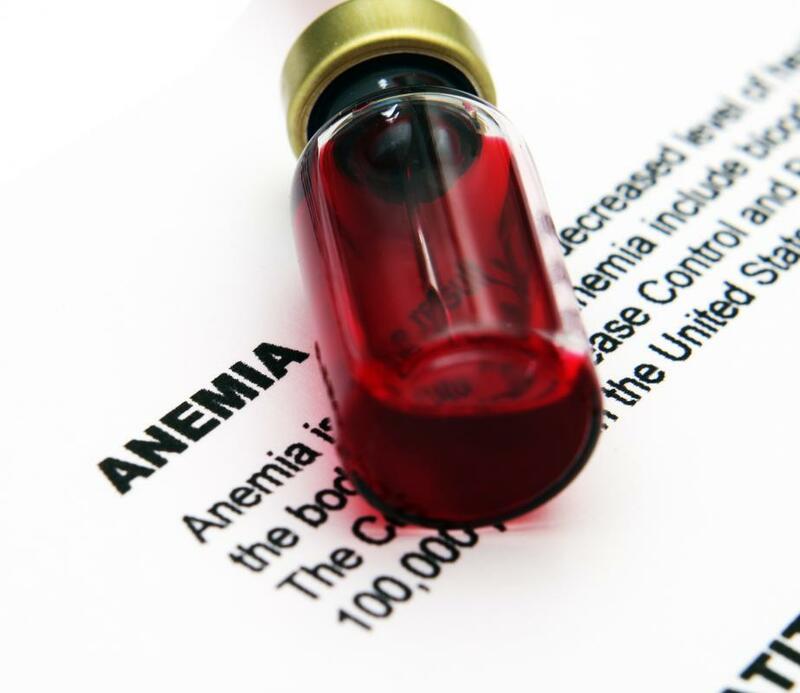 What is Iron Deficiency Anemia Treatment?